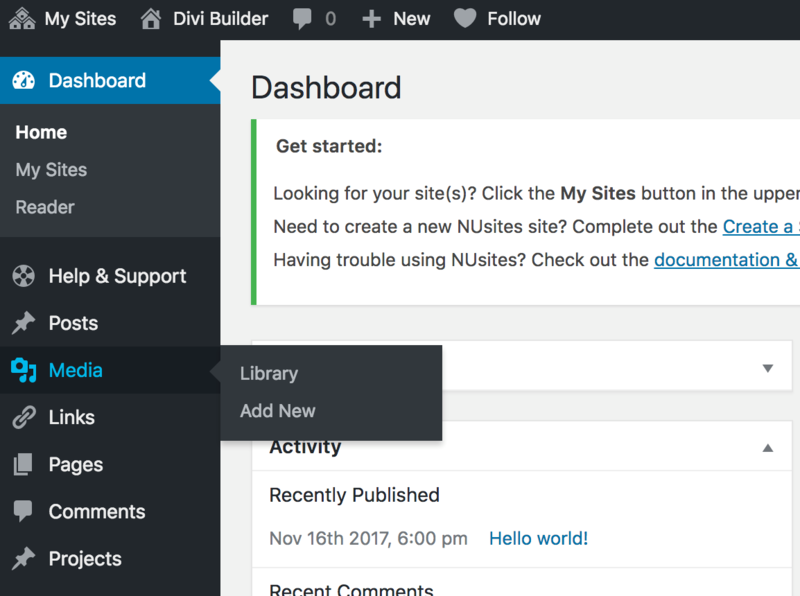 In order to use media like photos and documents on NUsites, you'll first need to upload them. 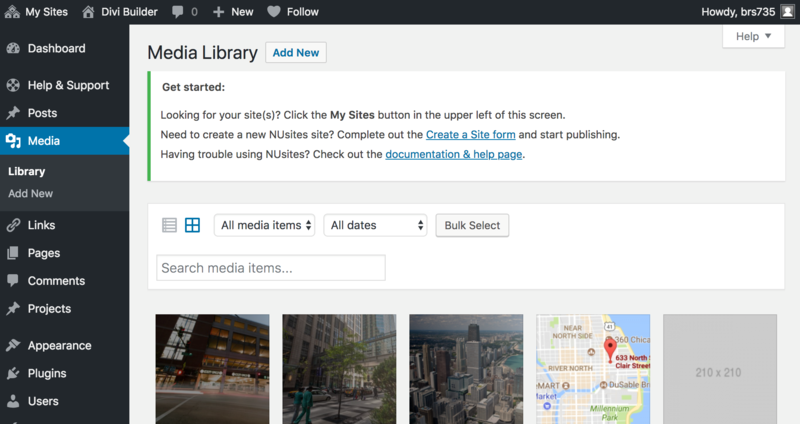 The quickest way to add images is to simply hover over the + New option at the top of the page then scroll down and select Media. You will be directed to the following screen where you can drag and drop your cropped image(s) into your media library or you can select files from the folder you saved them from. 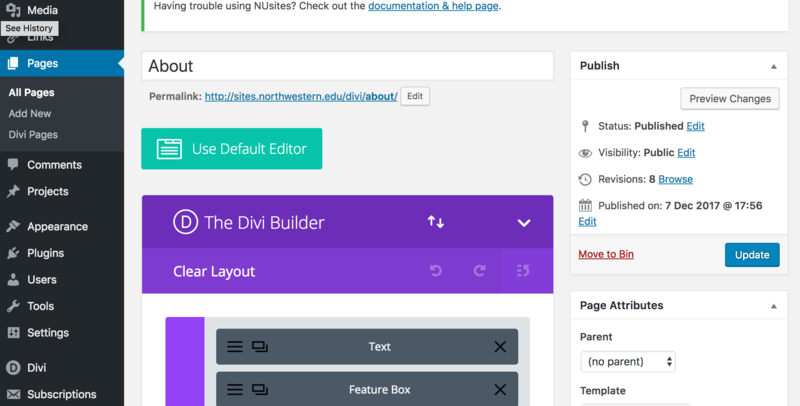 If you hover over the Media tab in the left navigation, you will have the option to Add New media items. If you select the Add New screen, you will be taken to the same screen, which allows to drag and drop your cropped image(s) into your media library or you can select files from the folder you saved them from. 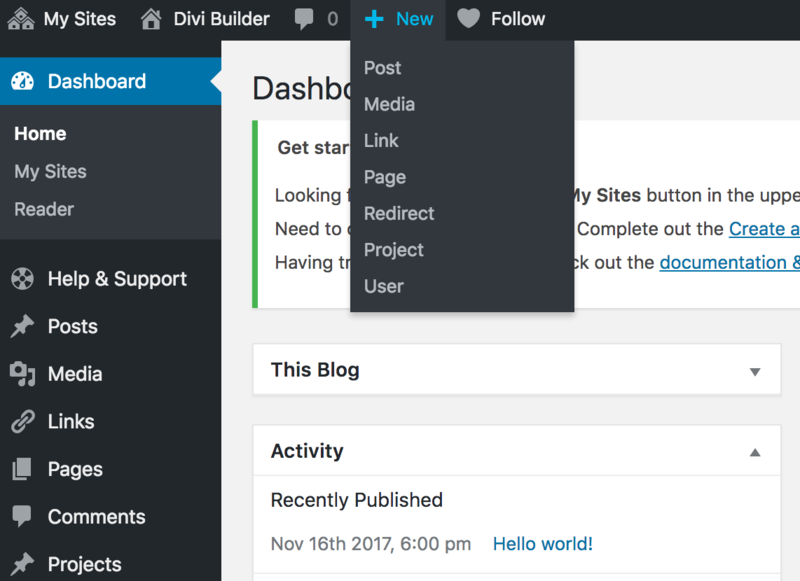 To add a top/featured image to one of your pages, all you have to do is edit the page you want to insert a top/featured image on. 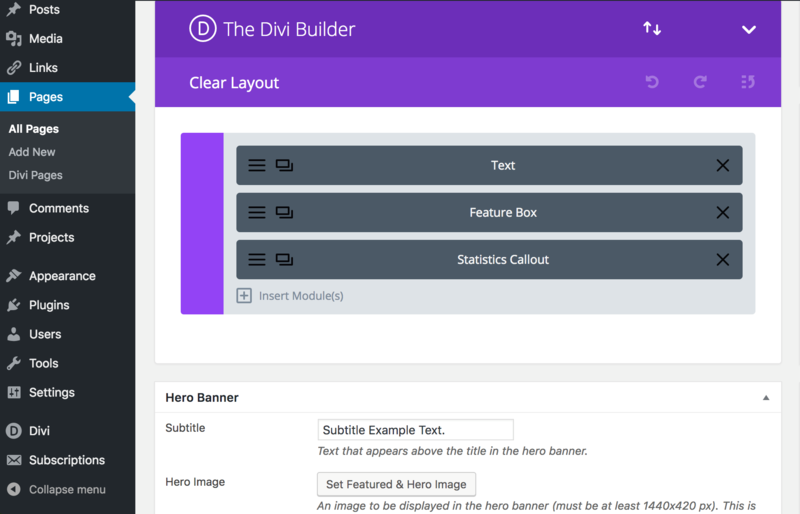 Once you are on the edit screen, you have to scroll down below the Divi Builder and you will see the Hero Banner section. Then, simply hit the Set Featured & Hero Image button and drag and drop your image into the selection area or add it from your media library. Please make sure your header image is 1440 x 420 px before inserting it. The next step is to hit the blue button that says Set Featured Image and then it will take you back to the page you are on. The last step is to hit the blue Update button to save your page. You will be directed to the following screen where you can drag and drop your documents into your media library or you can select documents from the folder you saved them from. To insert your uploaded document into the desired location, you must create a hyperlink. Save the page you are working on by hitting the blue Update button.